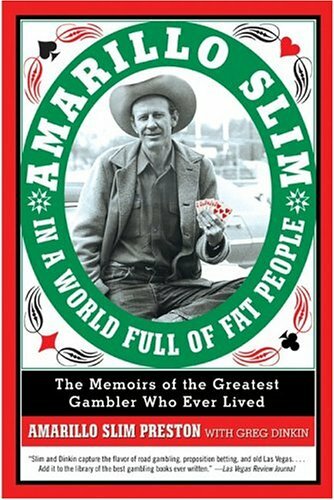 I just finished reading an excellent book about professional gambler Amarillo Slim. This book has stories that will have you laughing out loud. Stories about pool hustling and poker playing are there for sure, but so are stories about crazy stunts. He once bet a tennis champ he could beat him in Ping-Pong on the condition he chose the paddles. When he showed up to the event, he had two frying pans. After weeks of training with a skillet, he was easily able to defeat the tennis pro. The book is loaded with stories like that. Last year I read and recommended The Underdog: How I Survived the World’s Most Outlandish Competitions by Joshua Davis. If you enjoyed that one, you’ll also love the Amarillo Slim story.